Its time to freshen up your home and fight germs the all-natural way. Our specially designed set will get the job done so you can be confident your home is clean, fresh and protected. 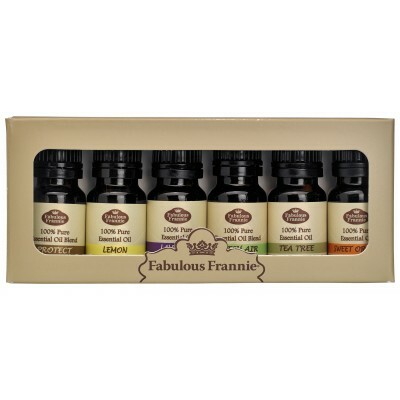 This set includes 10 mL bottles of the following Lemon, Sweet Orange, Lavender, Tea Tree Pure Essential Oils and Fresh Air, Protect Pure Essential Oil Blend. Warnings:As with all essential oils, never use them undiluted. Do not take internally unless working with a qualified and expert practitioner. Keep away from children and pets. If applying an essential oil to your skin always perform a small patch test to an insensitive part of the body (after you have properly diluted the oil in an appropriate carrier).